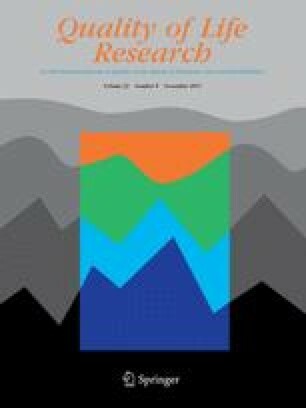 This study aims to evaluate the validity of current measurement models for the control, autonomy, self-realisation, and pleasure (CASP) measure of quality of life (QoL)—a second-order four-factor CASP-19 model and a second-order three-factor CASP-12 version—in a recent population survey. A previous large sample study did not report good fit for these measurement models. The study also aims to re-develop the model and propose a well-fitting alternative. To evaluate the current measurement models, confirmatory factor analysis (CFA) was used. A cross-sectional sample (n = 6,823) representative of the Irish community-dwelling population aged 50 and over was obtained from the Irish Longitudinal Study of Ageing (TILDA). Model revision was based on descriptive statistics, exploratory factor analysis and examination of fit diagnostic statistics. Revised models were tested using CFA. The results of the CFA did not support the validity of the established measurement models. A reformulated 12-item, two-factor model comprising control/autonomy and self-realisation/pleasure, with residual covariances for negatively worded items, had excellent fit to the data (χ2 161.90, df = 44, p < 0.001; RMSEA = 0.03, 90 % CI 0.02–0.03), and a clearer conceptual rationale. The same model with one overall QoL factor had similar excellent fit. We recommend the use of the single-factor model (CASP-R12) when assessing overall quality of life. The dimensions of control/autonomy and self-realisation/pleasure can be examined separately by researchers interested in those constructs. Researchers using structural equation modelling can use the well-fitting measurement model outlined here including adjustment for residual covariances. This work was funded by the Health Research Board in Ireland under Grant No. PHD/2007/16. TILDA data have been co-funded by the Government of Ireland through the Office of the Minister for Health and Children, by Atlantic Philanthropies, and by Irish Life; the data for this study have been collected under the Statistics Act, 1993, of the Central Statistics Office. The project has been designed and implemented by the TILDA Study Team. © Department of Health and Children. Yu, C.-Y. (2002). Evaluating Cutoff criteria of model fit indices for latent variable models with binary and continuous outcomes. Dissertation. University of California, Los Angeles. http://www.statmodel.com/download/Yudissertation.pdf. Accessed 4th July 2012.